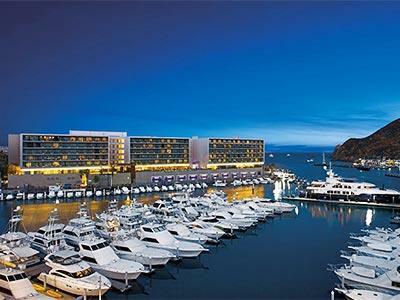 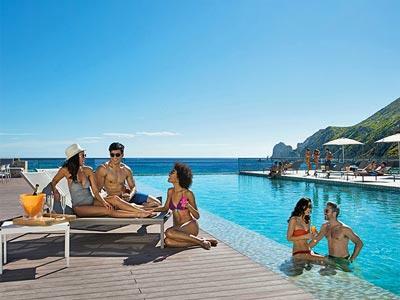 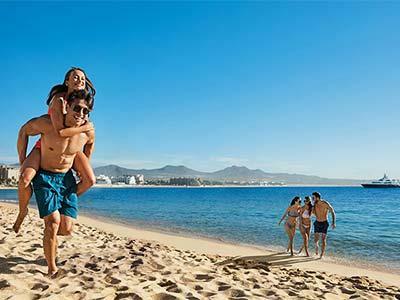 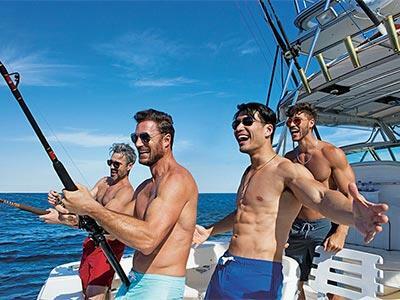 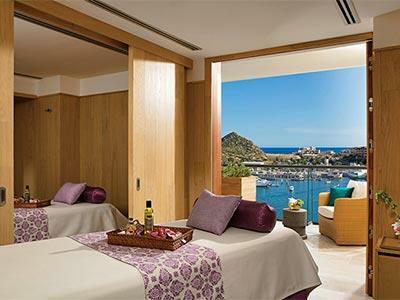 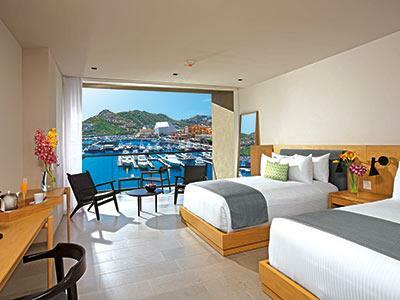 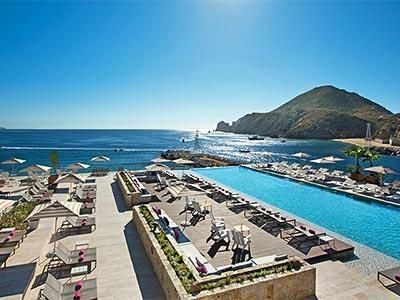 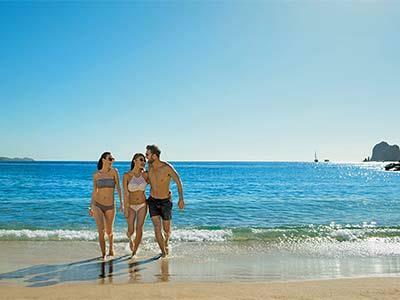 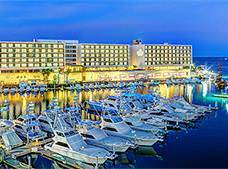 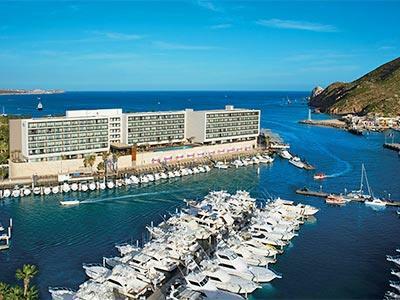 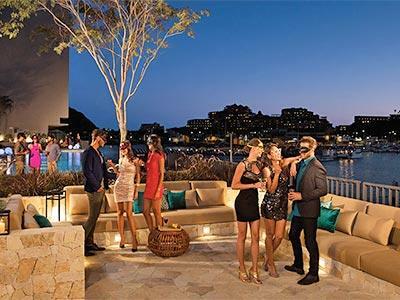 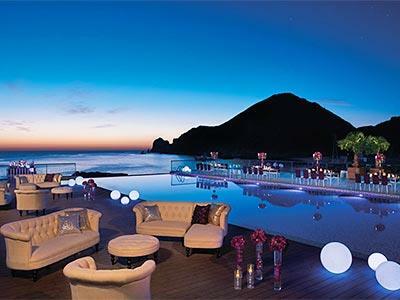 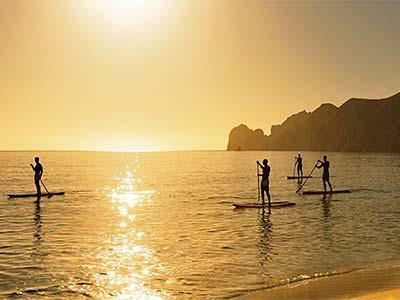 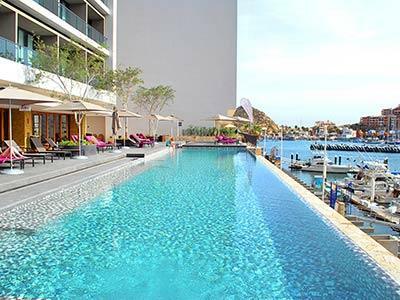 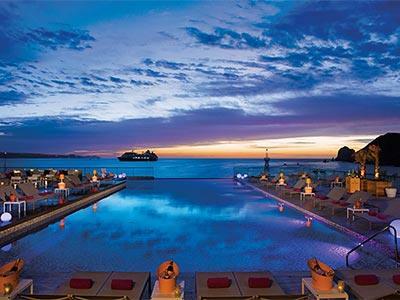 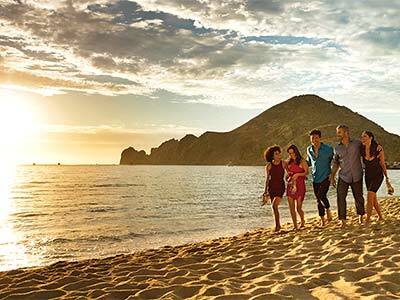 The All Inclusive Breathless Cabo San Lucas Resort & Spa offers stunning water views and sophisticated surroundings for those seeking an Adults Only retreat in Los Cabos. 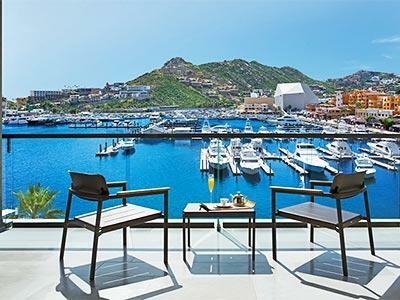 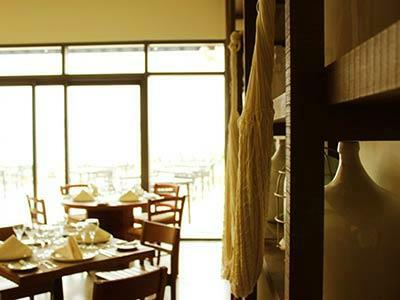 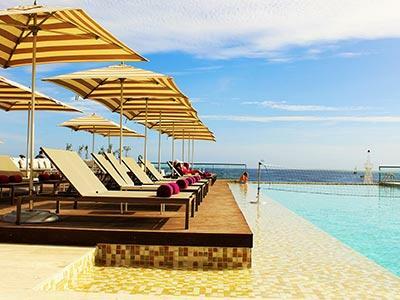 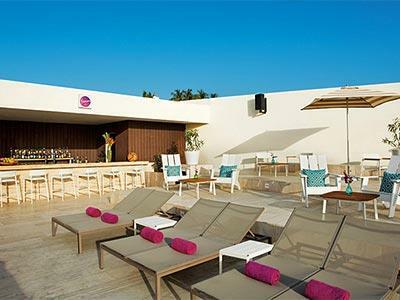 The property is set on El Medano beach, one of the most popular in Cabo San Lucas. 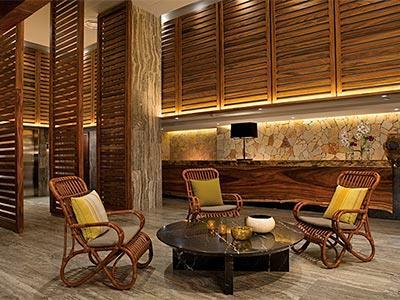 Each suite is decorated in a comfortable, modern style and features air conditioning along with bathrobes, slippers and complimentary wireless Internet access. 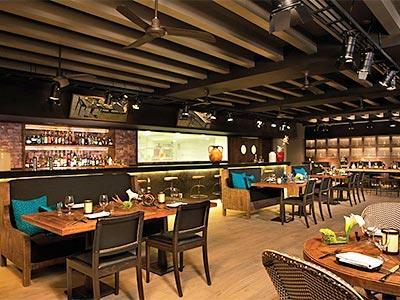 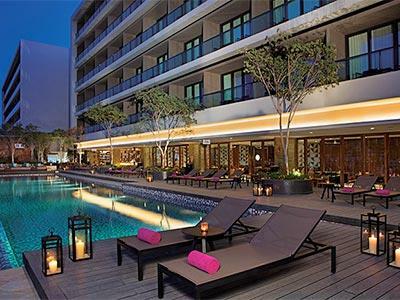 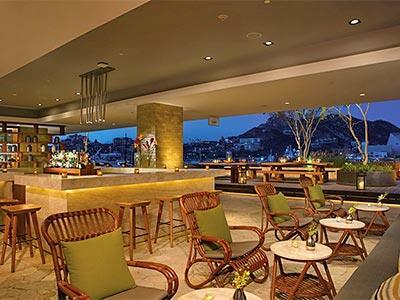 Guests are invited to enjoy fine meals at several onsite restaurants and can order a cool drink or cocktail at the pool, beach or lobby bar. 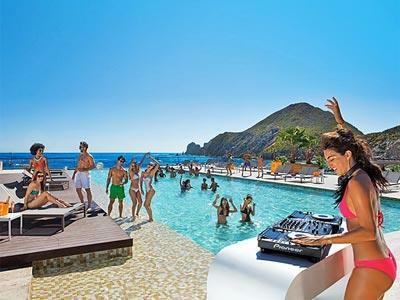 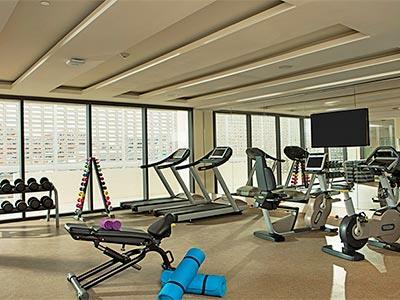 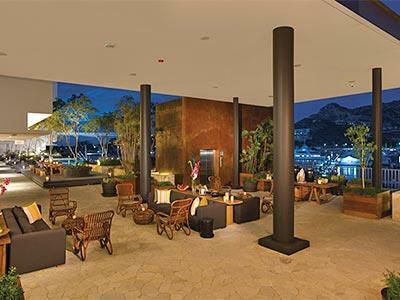 The hotel features a full schedule of daytime activities as well as nightly entertainment and a swimming pool along with an All Inclusive program that provides guests with premium drinks and access to gourmet restaurants without making a reservation. 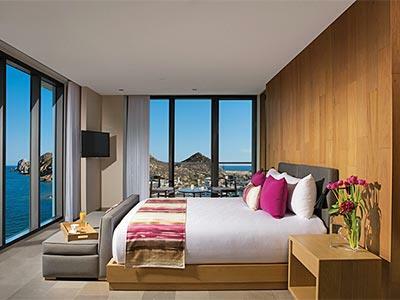 These contemporary and cutting-edge accommodations have a bathroom with two sinks as well as a comfortable furnished balcony, bathrobes and slippers. 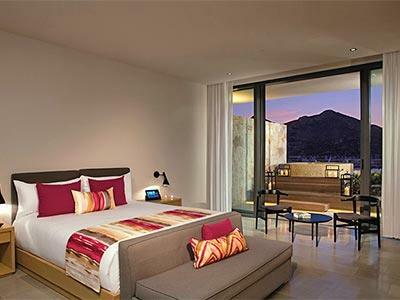 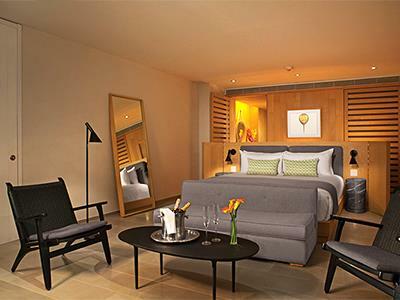 Equipped with the latest technology, these beautiful suites have stunning views and contemporary décor. 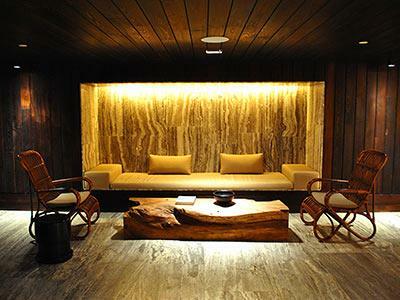 They are located on floors 3 thru 5 and feature rain showers. 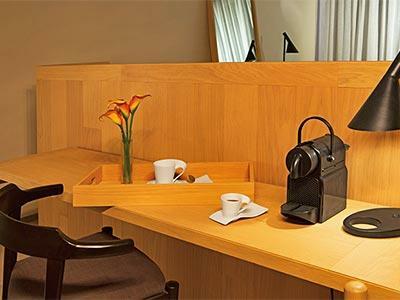 This beautiful suite features luxurious amenities and services. 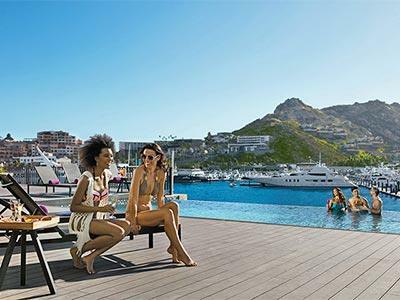 You'll be able to enjoy personalized check-in and check-out, breakfast, lunch and afternoon canapés at the club, along with free access to the wet areas of the spa. 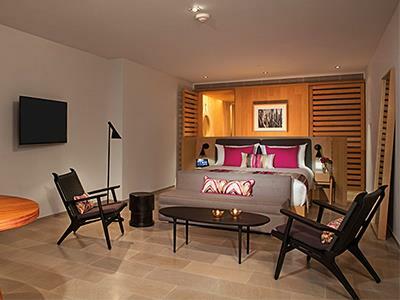 These first floor accommodations feature a rain shower in the bathroom as well as bathrobes, slippers, a flat-screen TV and a mini-bar.